Well-nourished trees & shrubs will have a greater resistance to insects, disease, and drought. Outdoor Sensations uses a premium soil injection program of bio based fertilizers and a liquid organic based bio root supplement and soil enhancer to help keep your trees & shrubs looking their best, adding value and beauty to your property. Our program provides more value with double the treatment - 1) a bio based fertilizer to promote improved rooting & stress tolerance, 2) a liquid organic based root guard and fertilizer companion*. What are the benefits of OSL deep root fertilization? At Outdoor Sensations, our deep root injection program is the most environmentally friendly way to protect your trees and shrubs from insect pressure and disease control. The deep root injection process allows for a very successful control rate and will not damage the surrounding landscape. 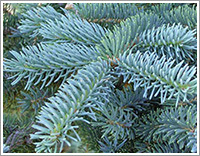 Our program will protect and fertilize your ornamental trees, conifers, newly planted trees and shrubs, and groundcover. 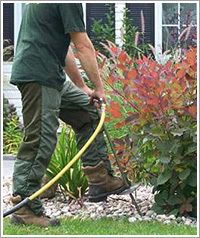 Foliar spraying of trees and shrubs are also provided as needed and we always leave a detailed service report with the property owner or manager upon completion of service.